Firaxis’ XCOM reboot and its sequel have both been tremendously successful, spawning a massive amount of interest in intense tactical strategy games. For Julian Gollop, the lead designer of 1994’s original X-COM, this renewed interest is a vindication of his style of turn-based strategy. After forming an independent studio and crowdfunding Chaos Reborn, a reboot of one of his earliest titles, Gollop is now returning to the humans versus aliens concept that defined his most popular game. All we’ve seen of Phoenix Point so far has been a screenshot and a few bits of concept art, but the mere concept of an XCOM successor from the man who designed the original has us very excited. We got the chance to sit down with Julian just before E3 to discuss his upcoming title. GameWatcher: Obviously you’re best known for your work on the original XCOM, but I feel like a lot of fans may have lost track of where you’ve been since then. Can you briefly go over some of your work since then? Julian Gollop: Right, I’ll have to dig into my rusty old brain, and get some memory circuits working. So yeah, the original X-COM, which was the pinnacle of my career as you sort of correctly hinted at, was back in 1994. After that we started work on X-COM Apocalypse, which was successful as an X-COM title. I guess it’s the third in the X-COM series, and the third and maybe final true X-COM. Until the Firaxis reboot, anyway. 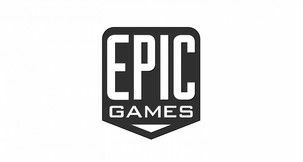 So after that I was working on a game called Magic & Mayhem for Virgin Interactive, which we signed with after MicroProse. Then we started a project called Dreamland which was supposed to be a remake, or a sort of reinvention of the original X-COM, but it got cancelled because Virgin Interactive was bought by Interplay, which was then bought by Titus Interactive, who were not interested in anything we were doing. They were only interested in Interplay’s IP. So we had to fold Mythos Studios which was my company at the time, and had to make 25 people redundant. Then myself and my brother Nick, we did a small project called Laser Squad Nemesis, which was a phased real-time tactical online squad combat system. If you’re familiar with the game Frozen Synapse then you’ve got an idea how it played. Frozen Synapse was very much based on Laser Squad Nemesis. That was cool, we did that for a couple of years, then we did a game for Namco called Rebelstar: Tactical Command, which is again a turn-based tactical squad-based game for the Game Boy Advance. Then I moved to Bulgaria and after a year I joined Ubisoft in Sofia, where I worked for nearly six years on a variety of titles. The only notable one, really, is Ghost Recon: Shadow Wars which was a turn-based tactical squad-based game for the Nintendo 3DS. I did work for a year as creative director on Assassin’s Creed: Liberation on the PS Vita, then I left Ubisoft. Then I raised some money on Kickstarter for Chaos Reborn in the beginning of 2014. $210,000 we raised there. I built a studio and we released Chaos Reborn in October of last year. In fact we’re still working on it, we still do regular updates for that. 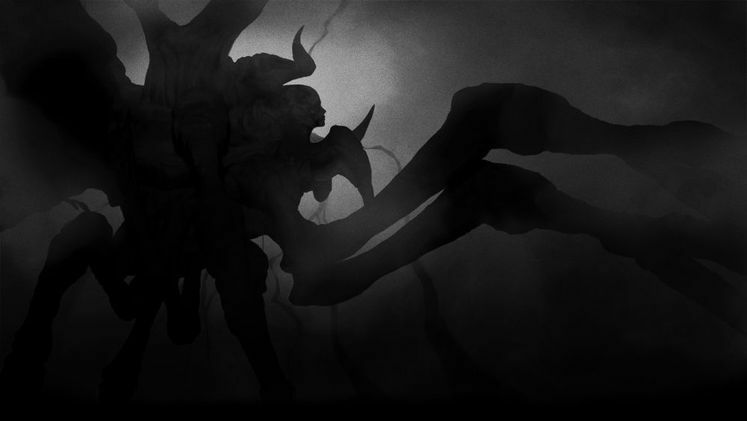 And over the last few months we’ve been working on Phoenix Point, which is our next game, and is finally another chance for me to go back to something as ambitious in scope as the original X-COM. I think that sums it up, mostly. I left a few games out. I did a bunch of stuff at Ubisoft which was not of much consequence. Cancelled. GameWatcher: XCOM has certainly been your best-known game, and a very well-loved game. Why is it now, some two decades later, that you’ve decided to come back to that concept? Julian Gollop: Because everybody keeps asking me about it. [laughs] Even while working on Chaos Reborn, which is basically a reboot of a more obscure game that I did back in 1985, which is not really known outside of the United Kingdom. I think everybody was interested still in the original X-COM, and obviously since the Firaxis reboot of XCOM they were interested in my thoughts on that. XCOM is still a thing, basically. I think, in a way, it has become its own unique little subgenre of game, which various small indie studios have tried to get involved with. For example, Xenonauts, by Goldhawk Interactive, is one example. Not the only example. And because Firaxis’ XCOM was so successful, it will no doubt spawn some other games in that genre. So I feel fairly confident that I can create my own game in this genre which I sort of helped create, really. Because I think there’s obviously a lot of players who are really interested in this style of game. Including me. GameWatcher: You mention games things like Xenonauts and the Firaxis reboot in this sort of XCOM subgenre, and to a lesser extent you even have games like Massive Chalice doing similar things. 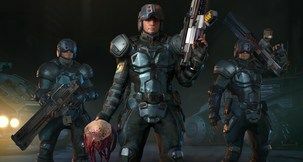 Do you see those types of games as an influence on Phoenix Point? Julian Gollop: Yeah, it is an influence. Because it’s proved to me, conclusively, that there is an audience for this style of game, and it’s not a trivially small audience. It’s pretty big. I think the real challenge is that Firaxis have set the bar quite high with their production values and content and scope of the game. But that’s quite exciting, because since playing the Firaxis XCOM I don’t think a turn-based strategy game that looked so exciting and dynamic. 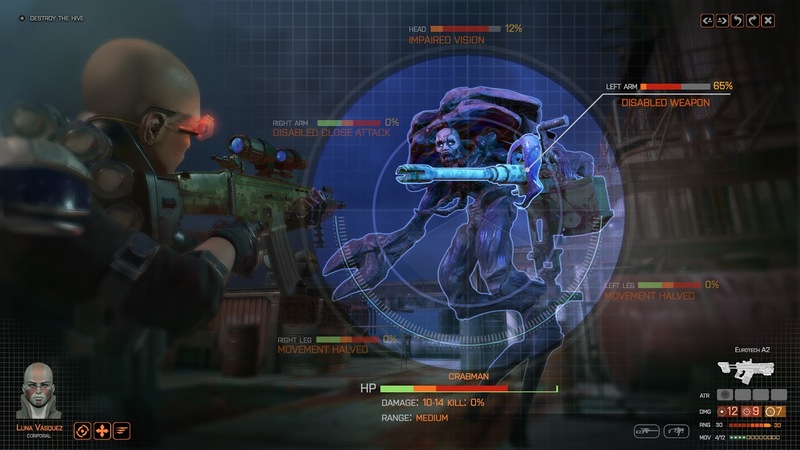 GameWatcher: How long has Phoenix Point been in the planning stages? Julian Gollop: Well, we’ve been working on it since January. Not full-time as a studio, because we have done some work on Chaos Reborn, of course. We have got an overall concept for the game, how it’s going to work, an overall design. We’ve done lots of concept work, artwork. We have a playable multiplayer prototype, and we have some “fake game footage” as we call it of how we’d like the game to look, so that’s all coming together. Obviously we’re talking to publishers about it as well because we’ve been getting quite a lot of interest, which is good. GameWatcher: Your last game, Chaos Reborn, went the Kickstarter and Early Access route. 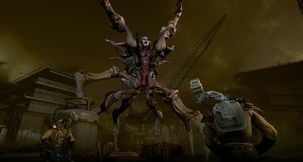 Is that something you’ve considered for Phoenix Point, or is it planned as a more traditional release? Julian Gollop: I can’t say one way or the other yet. All I can say is that we’re talking to publishers at E3 and we’ll see what happens. So nothing confirmed yet as to exactly how we’re going to finance the game. GameWatcher: Obviously Phoenix Point features the same basic trappings as XCOM, with humans versus aliens. Can you describe a little bit the specifics of the scenario? Julian Gollop: Yeah, absolutely. The scenario that we’re being presented with is one which is vastly asymmetrical. The aliens actually originate from a virus which has been dormant on Earth for many thousands of years. Released by mountain permafrost, it rapidly takes over the oceans and the sea. We discover that it’s basically a massive, massive alien-based DNA sequence within these virus-like structures. This alien microbe is able to mutate very rapidly creatures that it infects and effectively evolve them in a sort of rapid mutation and cloning system. This starts by infecting sea creatures, of course, and fisherman start reporting weird stuff coming out of the sea. Then we start seeing combinations of humans with other animals, and this is where the aliens start to get intelligent. They start to infect and take over the land. There’s this huge black mist which is generated by these microbes in the sea, which becomes airborne, starts to roll over the land, and most of civilization is basically wiped out. You’ve just got a few isolated human settlements. You, as the player, play one group of human survivors, a collection of scientists and engineers and soldiers, who come together to figure out a way to deal with this alien menace. It’s vastly asymmetrical in the sense that the aliens have biomass. They have the sheer force of numbers. They’re rapidly evolving, but they don’t have this kind of access to technology which the human player still does. The aliens are largely confined to low-lying land areas and the sea, whereas the human population still has control of the air. So that’s the situation that the game starts in. GameWatcher: You mention land, sea, and air control there. Will there be a variety of locations? Maybe aerial and aquatic battles? Julian Gollop: Oh, yes, there will be a big variety of locations, and one of the things that you have to deal with is the other human factions. There are a number of other factions in the world which also have their own idea how to deal with the aliens. For example, there is a faction that is an ecological, scientific organization who believe they can devise a means of coexistence with the aliens, so that humans are secure. There is a militarist faction called Human League who believe in a military solution to the alien threat. And there is a very weird religious cult called Averna Dominae which have discovered a way to incorporate alien DNA and still retain human consciousness. These factions all have their own idea, their own agenda, and you can help them, because they will request help in missions. 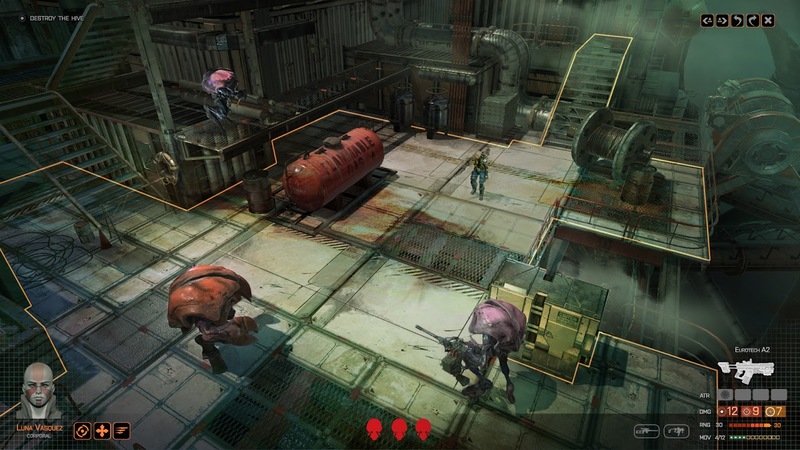 Often the missions at the start of the game will be you going to the assistance of some haven which is under attack. Each of the factions have built their own style of defenses and structures which are quite different, and these will be locations for many battles. On the other hand, you may also get into conflict with these factions, and you may actually be fighting them. They may be opposed to some of your expansion because you may be building bases in their territory. You may form alliances, there is an element of diplomacy involved in the game, and if you’re forming alliances with one, you might anger the others. These are very important considerations in the game, it’s not just about the aliens. Of course, the aliens are like this constant threat to all of humanity, but one of the big problems you’ve got is that humanity is not united in its opposition, in how it’s going to deal with these aliens. The aliens themselves will build their own structures and you’ll have to figure out what they are, and in many cases you will need to sabotage them. There will be missions on land, sea, and occasionally in the air as well. GameWatcher: Are these factions in addition to a more traditional system of world governments? Julian Gollop: There is no world government. There’s only these factions which have any real political control. There are a number of independent holdings, there’s more than three factions, but in a way your relationship with them is more complicated than in the previous XCOMs with the countries. In the original X-COM the countries, they funded you, and if you didn’t deal with the aliens in their area then they reduced their funding, basically. Although a similar mechanism still exists, you’ve now got a complicated relationship between the factions that you have to deal with, and you have to face decisions like do you actually try and attack these factions, or do you just trade with them, or do you ally with them. So you’ve got a number of different options. GameWatcher: What does the title itself, Phoenix Point, refer to? Julian Gollop: So Phoenix Point is the name of the base that you first establish. It’s set high in a promontory mountaintop. It’s named Phoenix Point as it’s the point at which humanity rises from the ashes. This represents your hope for humanity in the face of an almost insurmountable threat. GameWatcher: One of the few details we heard early on is that there would be a more flexible, open approach to the strategic, base management layer. Can you speak to that? Julian Gollop: Yes. So, you can construct multiple bases, but in order to do so you really need to do one of three things. One is that you need to have permission from one of the havens belonging to the factions to use one of their settlements as a base, and you can only do that if you have a strong alliance. Secondly, the other option is to actually take over one of these havens militarily and build your own base there. It might just be a refueling base, because you’ll need to extend the range of your aircraft, that’s a very important concept in the game. The other thing to do is to find an abandoned military outpost that might be suitable for building a base. So you can’t just build a base anywhere, but there is a good deal of flexibility about how you expand, and there is this element of territorial control as well. Where you build a base you’ll have some influence and trade with nearby havens. So there is more of an element of territorial control. Your bases are important for extending your influence, and you need them to make contact with these isolated human havens. And you need them as refueling points for your aircraft, because you’ll need to build a network of transport around the world. I hope that answers the question reasonably well. [laughs] I guess it’s definitely a lot more sophisticated than anything that’s been in any previous XCOM game, let’s put it that way. GameWatcher: One thing I’m really interested in is the alien design. Just based on the concepts we’ve seen so far it seems like these are much wilder creatures than we’ve seen in XCOM, both in terms of scale and design. What can you tell me about the monsters? Julian Gollop: Yeah, so, we’re going to have some really big monsters. Some really nasty things for you to deal with. You will need to figure out how to exploit their weaknesses and how to avoid their strengths. When you target a monster for attack, you really have to choose which part of the monster you want to shoot at. And of course this will have different effects depending on what that target location represents for that monster. In our prototype we’ve got an example of what we call a Crab Queen, which is a creature that emits a thick, black alien mist which the lesser alien minions use for cover, and it also is used to communicate with them like an airborne pheromone, hormone-like, it enrages and stimulates them. The Crab Queen will use this mist also to cover herself so you can’t clearly shoot at it. In our demo you’ve got the sniper who actually climbs up a tower, and he can choose what to shoot down at. He can shoot the carapace, he can shoot one of the pincers, or he can shoot the abdomen from where this mist is coming out. He shoots the abdomen, which destroys the mist emitter, so that will clear the mist, thus enabling other members of the squad to target the head of the creature, which is the more vulnerable part, and thus kill it. That’s a very simple example, but there could be more complex examples. GameWatcher: What about the soldiers themselves? What types of skills and abilities will each type of soldier have? Julian Gollop: This is a little bit more flexible than the Firaxis XCOM. You have skill classes which you can train your soldiers in, but you can also have multiclass soldiers and some synergy between them. We haven’t defined them all yet, but it will certainly be of similar scope if not larger than XCOM 2. You will have access to interesting elements of technology and you will have to choose different paths to go down in terms of how you develop it. There will be a whole branch of robotics, for example, you can go down. Automated warfare. There will be a whole branch of cybernetics enhancements and a whole branch of organic enhancements which are based on alien research. There will be a variety of explosive weapon types, poisons, gases, and so on. Sonic weapons. So there is an interesting variety. Basically, the path of progress that the player follows will depend on what the aliens do and vice-versa. If you play the game in a different way, you’ll get different aliens and you’ll get different equipment and skills to deal with it, if that makes sense. So it’s no longer just a linear progression anymore. GameWatcher: I know it’s far too early for a concrete answer here, but I have to ask. 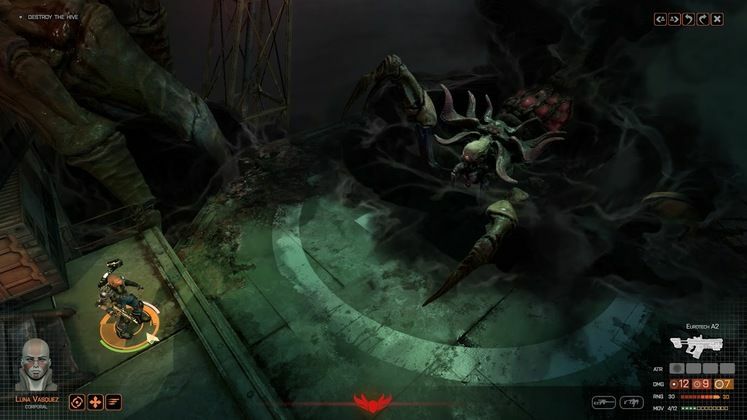 Do you have a release window in mind for Phoenix Point? Julian Gollop: Very approximately, because it’s obviously the very early stages of the project, it will be 2018 sometime. We’re quite a long way off yet. A very big thanks to Julian for his time. Phoenix Point sounds terrific, and we can’t wait to see more.